What’s Wrong With My Oven? It simply won’t work – this may be because the appliance isn’t actually plugged in or switched on. You may need to pull the oven out as often sockets are found behind the appliance and then a top switch activates the power without you having to keep moving the oven. Check that both are operating properly before changing the plugs fuse. If the oven has a digital timer it may be stuck in automatic, another feature to check. No heat to oven – if your electric oven is not working – getting power but not heating up – it may be the element. See if it glows uniformly, or if it provides an uneven glow. This may mean that the oven or broiler element needs to be replaced, particularly if signs of damage are noticeable where the element seems to have melted. Gas ovens may have faulty igniters which will need replacing. 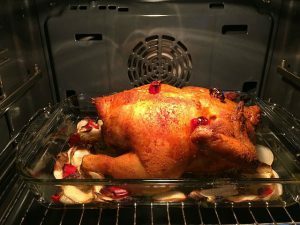 Oven won’t heat to the right temperature – you need to determine if the oven is cooking at the right temperature by using a basic temperature gauge that can withstand oven temperatures. Place it in the oven and set to a high temperature and wait for the results! Faulty temperature sensors could be the problem here, or your oven might need calibrating. The oven won’t cook evenly – if the oven is cooking at a high temperature and you can’t turn it down this could be because of a faulty thermostat, temperature sensor, or heating elements. If you’re not familiar with your oven it’s worth persevering with positioning the racks differently or using different baking containers. The fan is making a noise – after cleaning you need to ensure the fan has been put back properly and tightened up. If the cover has burnt on food remnants this can cause the fan to be noisy as it starts spinning. No heat in the grill – if the light comes on but the grill doesn’t heat up this could be due to the failure of the grill element and this may need replacing. The grill is smoking – this nearly always points to a cleaning issue as the smoke is caused by fat being burnt off the oven roof. If the element is coated it will take a few minutes to clear and you’ll probably set the smoke alarm off if you don’t have the window open! Common oven faults can all be put right by a trusted appliance repairs and service provider. 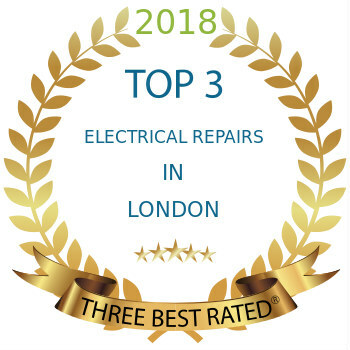 Choose a company that specialise in electric ovens and cooker repairs, and make sure the technicians are all highly experienced and thoroughly trained to fix both established and new models. Get the best possible service with free quotes, flexible appointment times, and make sure your repair will be guaranteed for six months or more! Why Is My Samsung Top Load Washer Not Spinning? Why Is My Samsung Fridge Not Making Ice? Mix Repairs Ltd. is an appliance repair company in London. We strive to provide quality professional services for your home and business. © 2019 Mix Repairs. All rights reserved. Handcrafted with love by Local Fame Ltd. If you continue without changing your settings, we'll assume that you are happy to receive all cookies on the Mix Repairs website.